The prices stated here are applicable to fabrics that are currently in stock. Please get in touch about custom fabric requests. Wet bags are waterproof bags which are useful for storing wet items such as nappies, pads and wipes. They are lined with a waterproof fabric called PUL and the seams are heat sealed to prevent leaks. 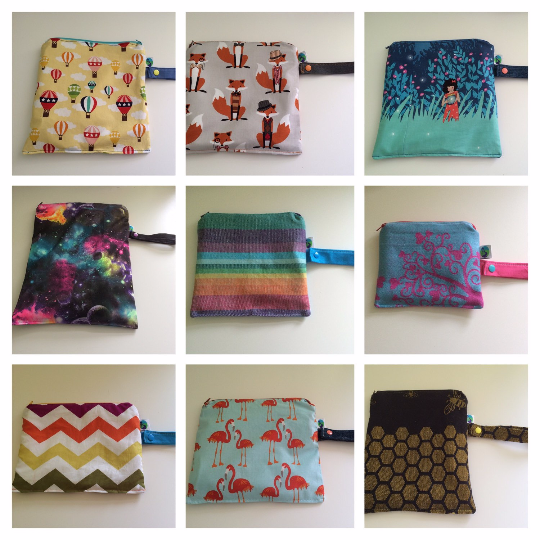 When lined with food grade PUL, these can instead be used as reusable snack bags. Each bag has a quality YKK zip closure. These are available in various sizes from small purse size ones to fit one pad, some coins or a handful of raisins, to extra large ones that fit several nappies. Single bags have one waterproof compartment, double bags have two separate waterproof compartments. 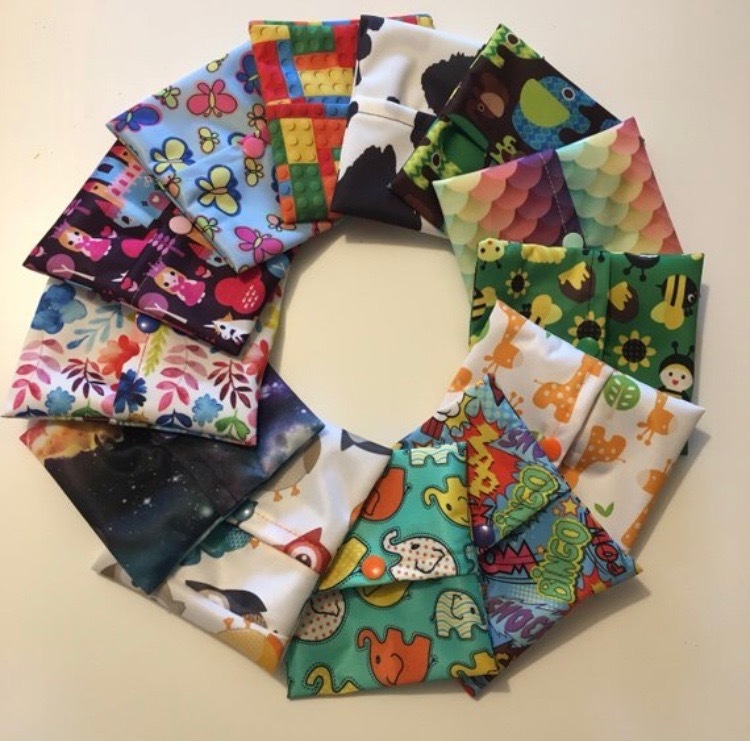 These handy little pods/pouches/wrappers are perfect for holding one reusable menstrual pad or a pair of reusable breast pads. The pod is made from waterproof PUL in various fun designs. The closure features a single snap/popper and a small overlap of the PUL. They measure approximately 12cm by 11cm, and are designed to fit an average sized 7-11 inch pad or 4″ breast pads. I can make bigger pad pods to order, please request a custom order.